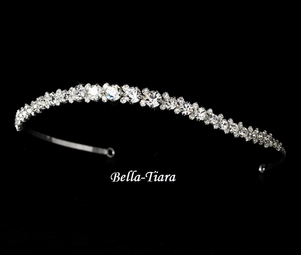 Description: Simple yet with an amazing sparkle and an impressive look. 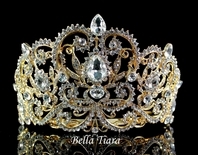 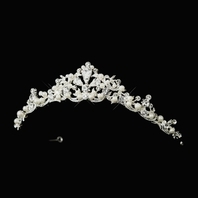 Contemporary tiara feauturing large rhinestones and sleek detailing. 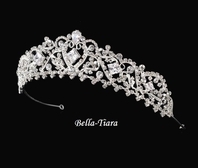 Fits beautifully. 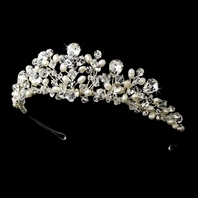 The gorgeous crystals span approximately 8 inches and the largest rhinestones measure just over 1/2". 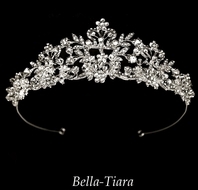 The silver-plated band is 15 inches long with a loop on each end for securing hair in place with bobbie pins.